During the summer, most people are on the lookout for drinks that are refreshing as a way to beat the heat. 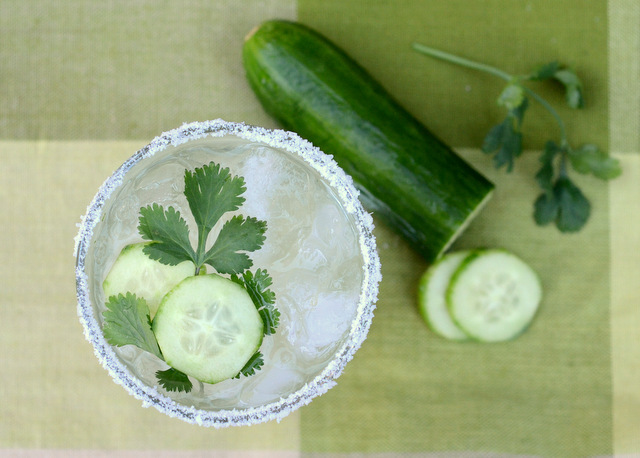 This Cucumber and Cilantro Margarita is exceptionally refreshing on a hot night. 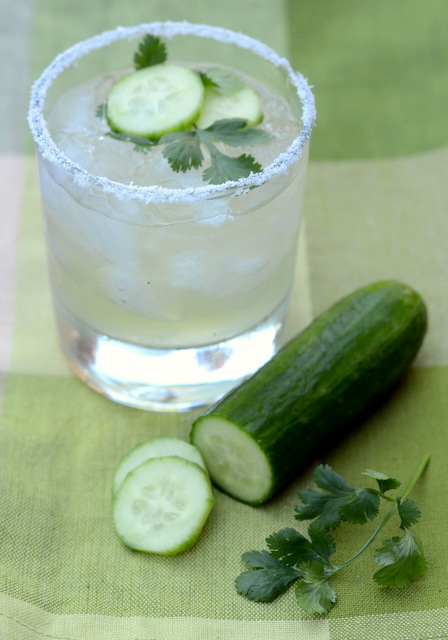 Cucumbers are often paired with vodka, not tequila, but they have a mild melon flavor that smooths out a bold tequila and makes the drink go down very easily, while cilantro adds a fresh, herbacious flavor that pairs very well with lime juice and gives the drink a little spice. The combination is unique and is the perfect match for any spicy foods you might be serving up at a weekend barbecue. Rim a glass with kosher salt, fill it with ice and set it aside. Next, drop the cucumber and cilantro leaves into a mixing glass. Add the simple syrup and muddle. Pour in the rest of the ingredients and fill with ice. Shake and double strain into a the prepared glass and garnish with a sprig of cilantro and a couple of slices of cucumber.